Spring Break!!! When I was growing up it was Easter Vacation, but that’s a rant for another day and different blogger. Last week was Spring Break for us and it was a long overdue vacation for my family. We recharge at the ocean, so we headed West to North San Diego County. I have to write and give props to the folks at Cardiff By The Sea Lodge, a vibey and fun Bed & Breakfast just a short walk from the beach. Every room is unique and the staff was incredibly accommodating to my family. 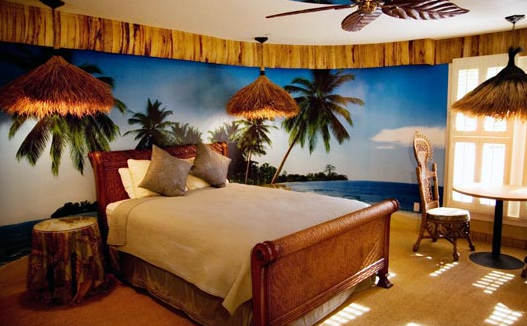 All five of us stayed in the Paradise Room, a tropical theme with charming island decor. The rain shower head was a hit with all of us. We loved the rooftop gardens and jacuzzi spa. It was awesome to watch the sunset while soaking in the hot tub. Then we hung out around the fire-pit on the roof, sang goofy campfire songs, met interesting people, laughed a lot and listened to the waves crashing on the beach. I even got up early one morning and exercised on the roof at daybreak…incredible! The beach at Cardiff quickly became one of my personal favorites. The long, gentle slope of the beach makes for a great time playing in the waves without being overcome by them. The water was a bit too cold for me to enjoy swimming this time of year, but that didn’t stop my kids from jumping in until their lips were blue and they couldn’t stop shivering. 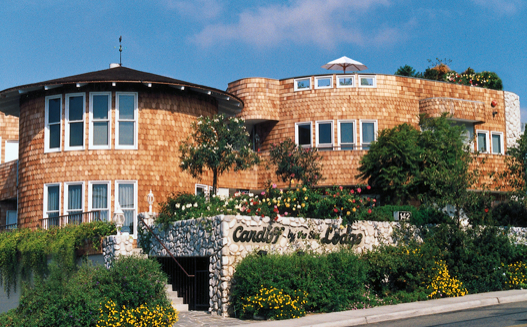 If you’re looking for a great place to stay the next time you’re heading out to the San Diego area, definitely look up Cardiff By The Sea Lodge.